Works on all sizes and shapes of containers with any type of liner. 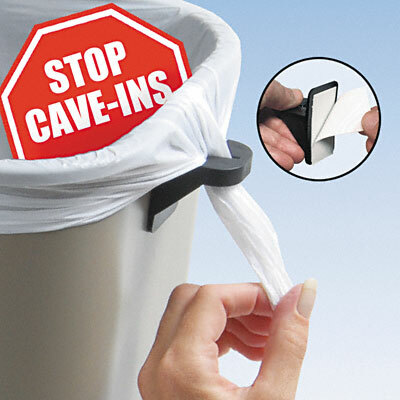 Patented design has flexible, durable "living hinges" that hold liner snuggly around rim to prevent "cave-ins". Comes with double-stick foam mounting tape already installed. Simply prepare the surface properly, remove the backing from the cinch and apply.